PCN Flight West: NEA/DL Lt. Col. Capt. Albert James 'Jim' Tagg Sr.
NEA/DL Lt. Col. Capt. Albert James 'Jim' Tagg Sr.
USAF, NEA/DL Lt. Col. Capt. Albert James ‘Jim’ Tagg Sr. Notification with the passing of retired Northeast/Delta pilot Lt. Col. Capt. Albert James ‘Jim’ Tagg Sr., age 82. Captain Tagg joined Northeast Airlines 12-18-1958 and retired with Delta Air Lines in 1994, based 031/NYC. Widowed four years ago, Captain Tagg is survived by his children and grandchildren. Lt. Col. and Captain Albert James "Jim" Tagg Sr.
HAMPTON FALLS - Lt. Col. and Captain Albert James "Jim" Tagg, Sr., 83, of Hampton Falls, N.H., passed away Saturday, March 25, 2017, in Tampa, Fla., surrounded by his loving family. Jim was born on April 21, 1934, in Beverly, Mass., the son of Thomas and Nora Freer Tagg. He graduated from Topsfield High School in 1952. 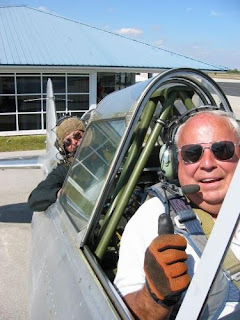 After graduation he joined the Air Force and learned to fly over a dozen military aircraft before retiring as a Lt. Col., flying the F101 Voodoo jet fighter and part of the First Intercept Squadron based out of Bangor, Maine. While Based at Loring AFB, he obtained a Bachelor's Degree from Husson College and met his wife Sue. He married Susan Files Tagg at All Souls Church, Bangor, on September 25, 1964. Jim and Sue enjoyed raising their family in Hampton Falls, N.H. Before retiring from the Air Force Jim began a long career in the commercial airline industry at first flying DC-3s for Northeast Airlines and eventually retiring as a Captain with Delta Airlines, flying Boeing 767 ER's around the world. After Jim and Sue retired, they spent time maintaining their home in Hampton Falls, N.H., and riding motorcycles, wintering and traveling on their motor coach in Port St. Lucie, Fla., and sailing the coast of Maine out of Boothbay Harbor where Jim enjoyed being a member, and Past Commodore, of the Down East Yacht Club. Jim was predeceased by his wife Susan Files Tagg; his father, Thomas Tagg; his mother, Nora Tagg; brother, George Tagg. He is survived by his three sons; Jim Tagg Jr., and wife, Kimberly of Tampa, Fla., Richard Tagg of Walnut Creek, Calif., Steven Tagg and wife, Keri Tagg, of Newmarket, N.H.; granddaughters McKenna and Paige Tagg; grandsons, James Tagg III and Clark Tagg; his sister and brother-in-law, Diana and Ralph Titus of Rowley, Mass. ; sisters-in-law Liz Tagg of Seabrook, N.H., Judi Stevens of Yarmouth, Maine and Debbie Dumas of Scarborough, Maine; and brother-in-law Kip Files of Rockland, Maine. HAMPTON FALLS, N.H. - Susan Files Tagg, 69, of Hampton Falls, N.H., passed away April 9, 2013, in Tampa, Fla., surrounded by her loving family after a courageous battle with cancer. Susan was born Dec. 4, 1943, in Bangor, the daughter of Richard and Ellen Files. She graduated from Bangor High School in 1962 and received an associates degree in early childhood development from Westbrook Junior College, Portland. Susan was a member of Bangor Junior League and loved horseback riding and spending time with her grandchildren. Susan married Lt. Col. Albert "Jim" Tagg, retired, at All Souls Church, Bangor, Sept. 25, 1964. Susan and her husband raised three sons, James Jr., Richard and Steven in Hampton Falls, N.H. After Jim retired they spent much of their time on their motor home in Port St. Lucie, Fla., and on their boat in Boothbay, as members of The Down East Yacht Club. Susan was predeceased by her mother, Ellen Hathorn Files; and brother-in-law, Greg Stevens. She is survived by her father, Richard Files of Falmouth; husband of 47 years, Albert "Jim" Tagg; three sons, Jim Tagg and wife, Kimberly Tagg, of Tampa Fla., Richard Tagg of Walnut Creek, Calif., and Steven Tagg of Hampton Falls, N.H.; grandaughters, McKenna and Paige Tagg; grandsons, AJ and Clark Tagg; sister, Judi Stevens of Yarmouth; and brother and sister-in-law, Kip Files and Lorraine DuBeau of Rockland; sister and brother-in-law, Deb and Peter Dumas of Scarborough; and several nieces and nephews.